Gordon served over ten years as a senior administrator in the non-profit sector prior to entering the appraisal industry. He entered the appraisal field in 1998 and has been President of the Red River Group since 2000. In 1998 Gordon was elected to Niverville Town Council, and in 2002 was acclaimed Mayor. He retired from active politics in 2006. His experience in municipal government has provided him a strong background in understanding rural/urban development issues, the nuances of property assessment, and the value influence created by long term planned development. Gordon served as President of Niverville Heritage Holdings Inc. (NNHI), a non-profit Centre in Niverville from 2005 to 2008. He was involved in helping birth the 10 million dollar integrated facility which provides Niverville and area with assisted living/supportive care senior housing, medical facilities, large banquet and meeting space, and over 40,000 square feet of commercial space. Gordon was invited to re-join the Board in 2009 to assist with Heritage Holdings’ efforts to construct a personal care home for Niverville and area which received Provincial approval in June 2011. In 2015 the Heritage Centre completed its “aging-in-place” campus with the addition of a 49 unit Life Lease facility. The full campus is located on an 8 acre site consisting of 250,000 square feet, and has a replacement value of nearly $50M. The Heritage Centre, which operates as a social enterprise for the common good, is seen as a model for private/public partnerships in the Province of Manitoba. Gordon is a Past President of the Appraisal Institute of Canada – Manitoba Provincial Council. 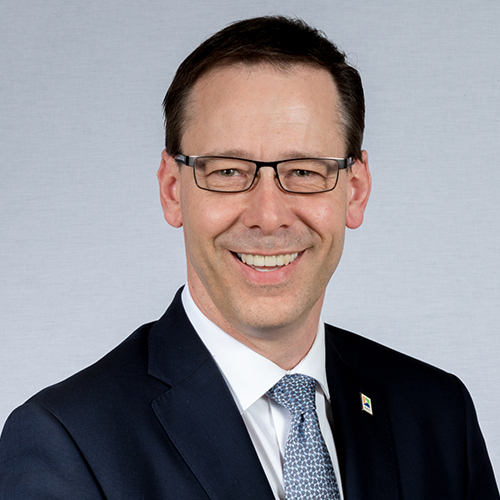 In addition to being a member of the NHHI Board, he is an Acting Chair of the Manitoba Municipal Board, and is Chairperson of the Canadian Mennonite University Board of Governors. Gordon works primarily with agricultural appraisals for financial institutions, as well as for corporations and individuals. He also does consulting work for government, corporations, and individuals in regards to economic development opportunities particularly focused on seniors housing.